We have now moved into our fantastic new school. 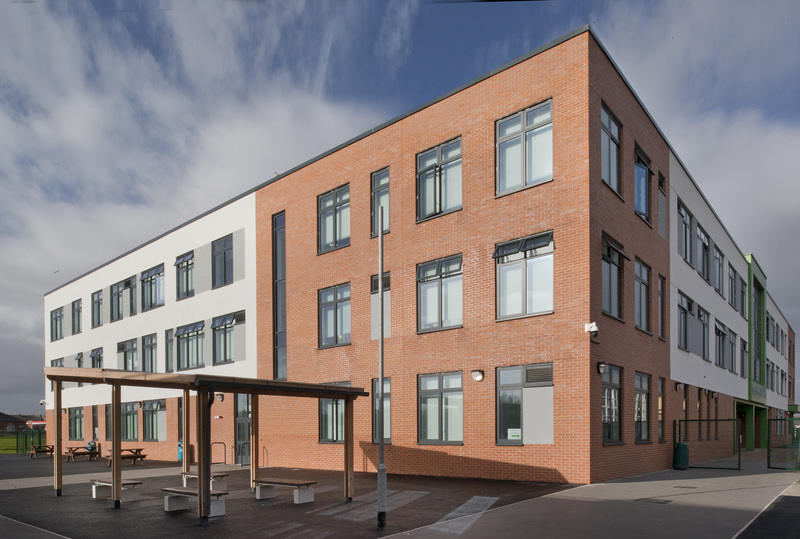 We have 7 state of the art science laboratories, 4 Technology workshops, music and drama rooms, multi use 3G pitch and a state of the art sports centre. Bright Futures Educational Trust has been instrumental in ensuring that the building is equipped with new ICT hardware, plasma screens in all teaching spaces, specialist science and design technology equipment together with new furniture in all rooms. We have a learning centre the “Galaxy Suite” at the heart of our building, also with new equipment and furniture, together with a specialist drama studio, music facilities, main hall with retractable seating and provision for both internal and external dining. The separate sports hall and dance studio will enable all our students to engage in a wider range of sports and games including football, cricket, basketball, netball, hockey and athletics.